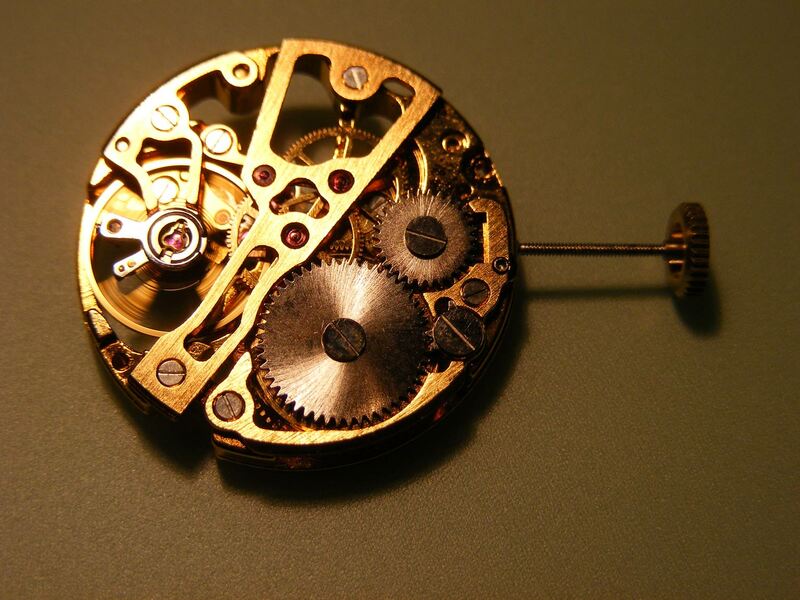 A watch is similar to a car. It has mechanical parts and needs cleaning & servicing to manufacturer’s guidelines regularly. 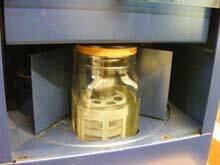 There are many moving parts that need special oil and grease. 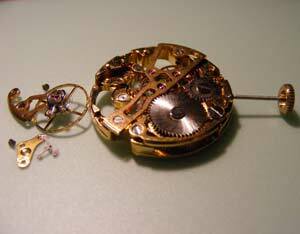 Do not make the mistake of waiting for your watch to stop working before you have it serviced. 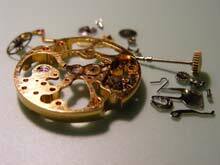 If you look after your valued timepiece and have it professionally cleaned, oiled and greased it should last you a lifetime. We recommend a service every 5 years because, unlike a car that spends much of it’s time parked, a watch is running 24 hours a day, seven day a week, 52 weeks a year etc. 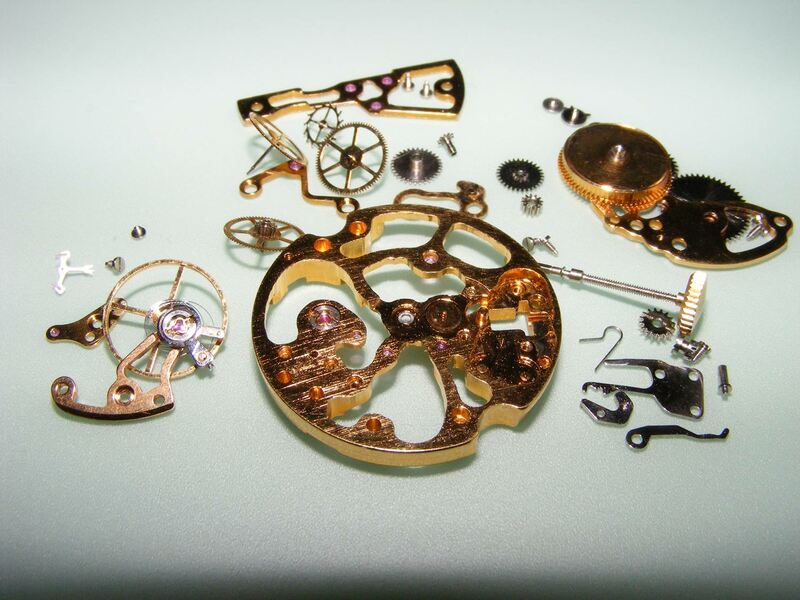 Here are the processes that occur for the cleaning process: The watchmaker will be checking for damage, rust or wear and tear on all the parts as he/she removes them and again when the watch is re-assembled. 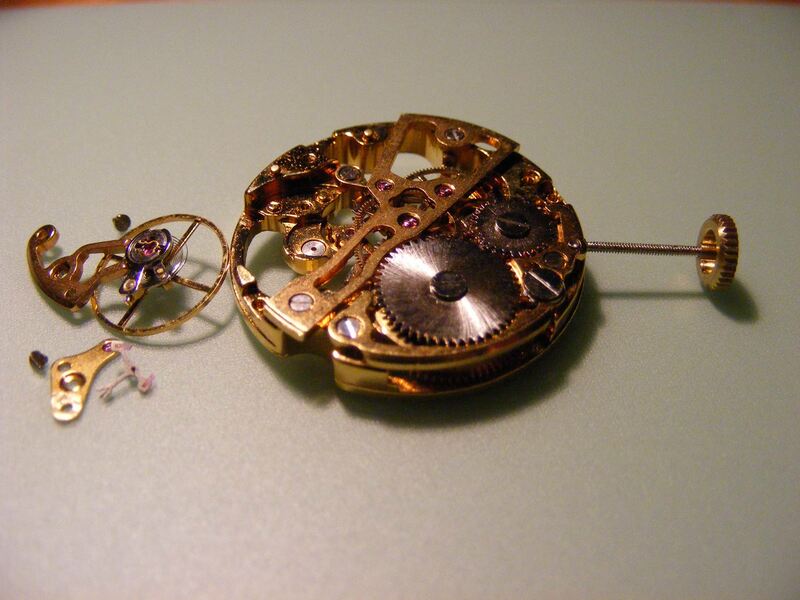 The movement is removed from the case and the hands and dial are removed. 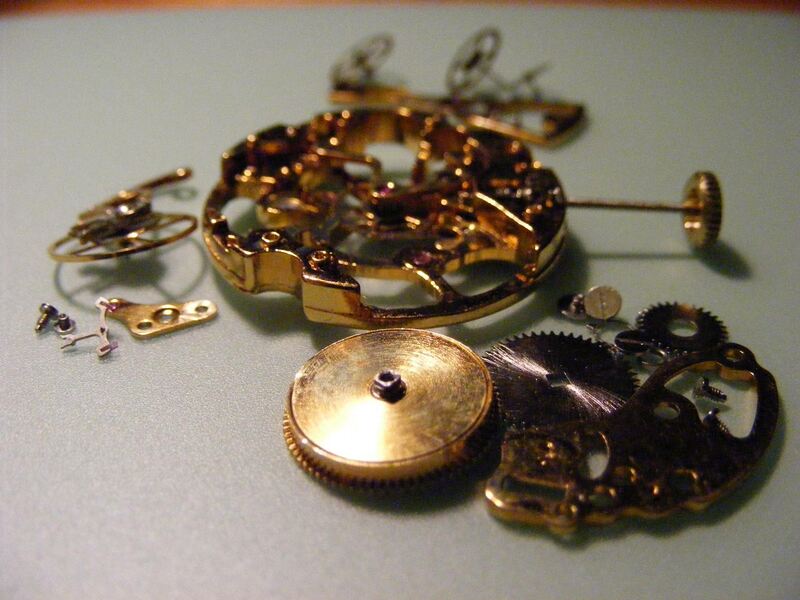 The movement is then dismantled by first removing the balance and bridge (this is the wheel that oscillates backwards and forwards) together with the pallets. 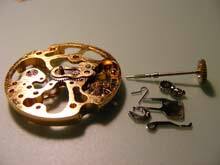 The barrel and bridge (which holds the main spring) is then removed together with the click spring. 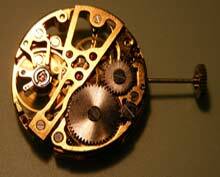 The Train (a series of wheels- centre wheel, 3rd wheel, 4th wheel and escape wheel) together with the bridge is taken off. 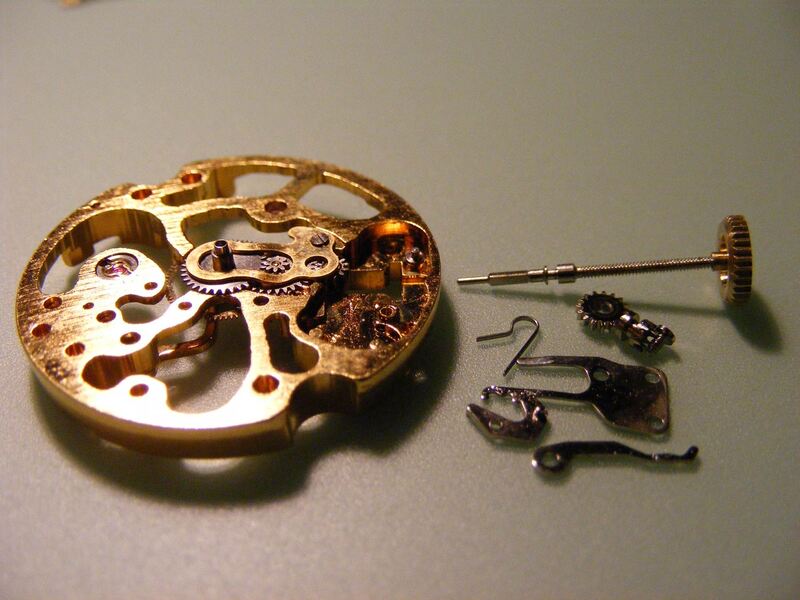 Finally the movement is turned over and the keyless work (winding pinion, clutch, return bar, return bar spring, intermediate wheel) and motion work (minute wheel, hour wheel, intermediate wheel) are removed. 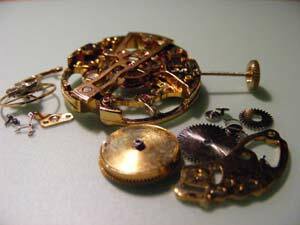 All these parts with the exception of the dial & hands are put into a watch-cleaning basket and then into the cleaning machine. 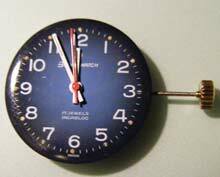 The watch case and back are cleaned separately in an ultrasonic tank. 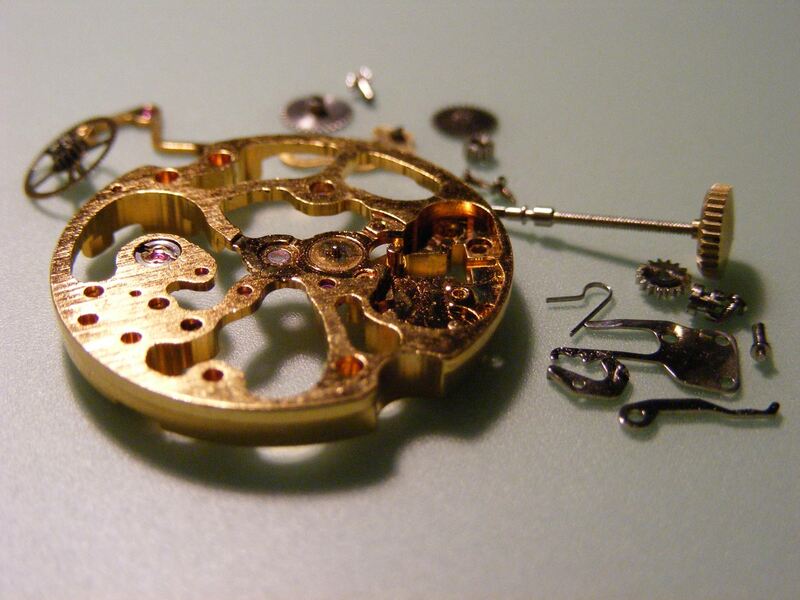 The watch is then re-assembled by a similar reversed process with all relevant parts being greased and oiled to manufacturers requirements and guidelines.